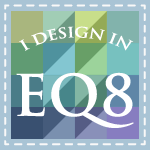 I'll say right off, I'm no art quilter. So, back in 2008, when my local guild offered a monthly class/discussion to go through the Art Quilt Workbook, I signed up. We went through a chapter each month where the exercises focused on the elements and principals of design learning new techniques along the way. For Throwback Thursday and with it being fall, I'm sharing two mini quilts made while working through the exercises from the book, both measuring 9" x 12". 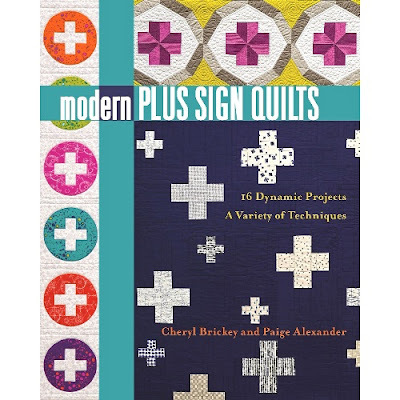 In the first one, I remember us covering freehand curved piecing and flange insertion. Here you can see the green flange added and the curved piecing. I was trying to show perspective by adding the shadow below the leaf, but when in nature have you seen a perfectly flat leaf with its perfect shadow. 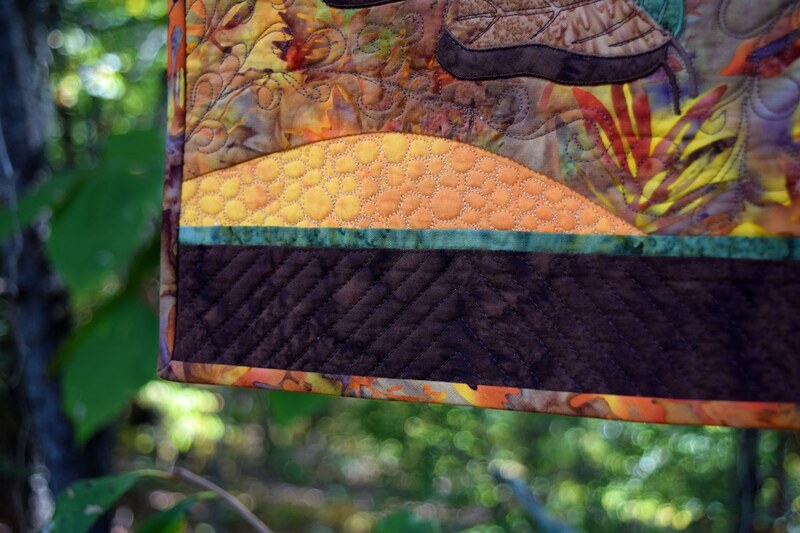 I had just learned to pebble quilt and I was brave enough to add the swirly feathers to portray the wind on breezy fall day. Straight lines were added to the top and bottom borders. I probably should review the book again. 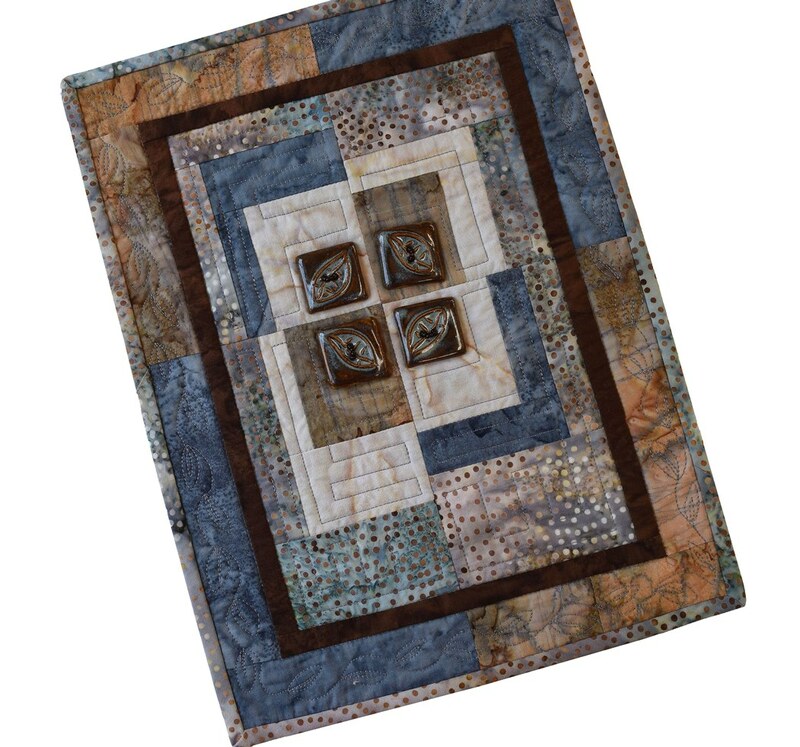 On the second mini quilt, it contains 'found objects'. The square ceramic buttons were purchased at a street festival. 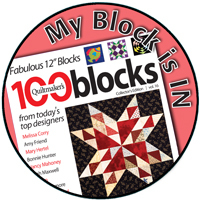 They may be a little chunky for this piece, but I used the square shape and extended it into the quarter log cabin blocks. 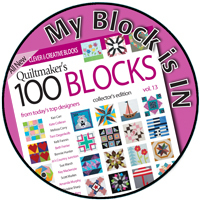 One chapter covered border options and I extended the log cabin block out into the border. I repeated the leaf theme of the buttons in to the border by quilting continuous leaves all around. 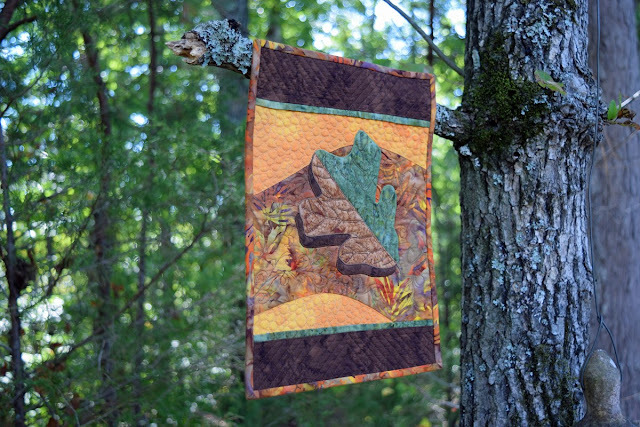 I quilted just straight lines in the log cabin blocks not necessarily following a particular path. You may not can tell from the photo, but I used seed beeds on the thread to sew on the buttons. 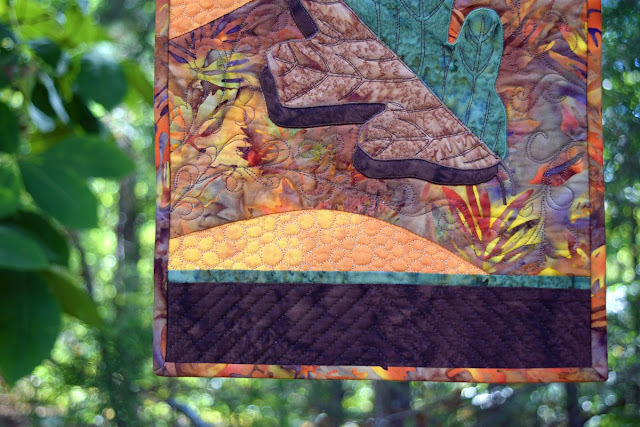 If it weren't for the colors and muddy batiks, this could almost be a modern 'ish' little quilt. 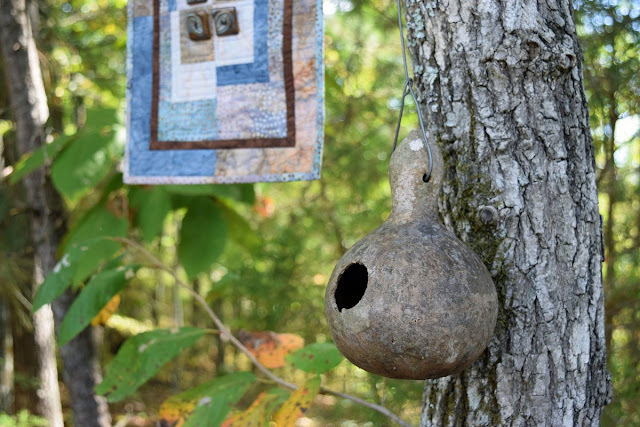 And one more with the birdhouse made from a gourd hanging from the tree. 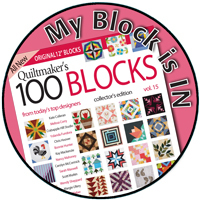 Now head on over to A Quarter Inch from the Edge to see other makes from the quilty past. 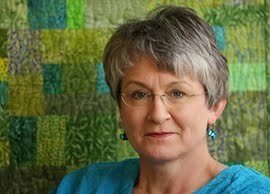 I love seeing your older quilts. The quilting is beautiful on them. You have such a great eye for color and design. 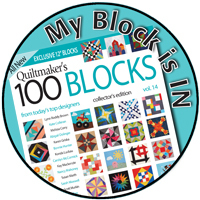 I am no art quilter either, but I think these are lovely. Thanks for sharing. It's always fun to look back at the things we've tried and learned along the way. 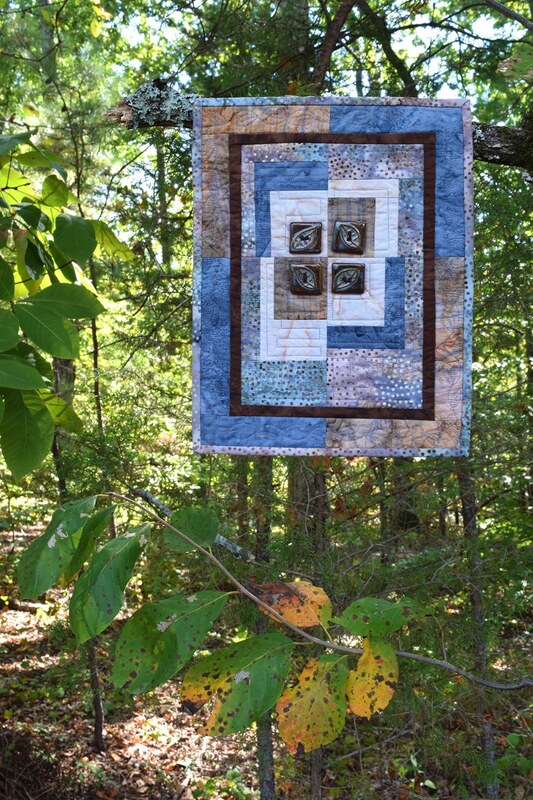 I just love that second little quilt! The colors, the quilting, the design, the buttons...everything about it appeals to me. Do you have it hanging in your home? I absolutely love the colors on the second mini. I've never tried art quilting, but I think you hit it out of the park with both pieces. 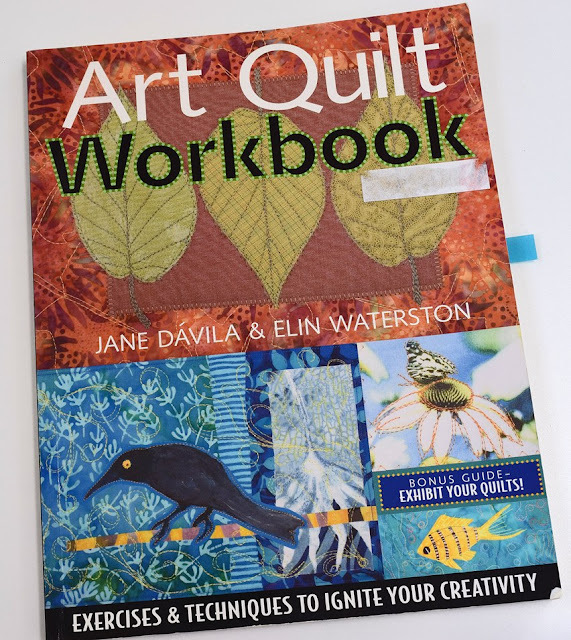 Lovely little quilts and beautiful palettes! Oh, these are beautiful, Paige! Those fabrics are so dreamy! 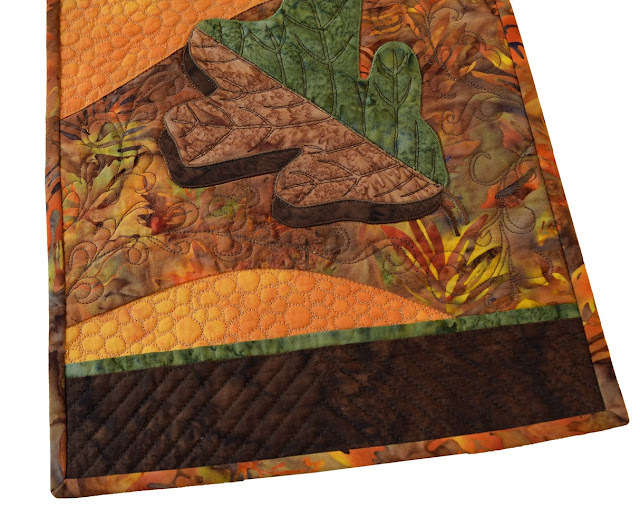 Love the 3D effect of the leaf and the addition of the buttons on the second quilt. Lovely!